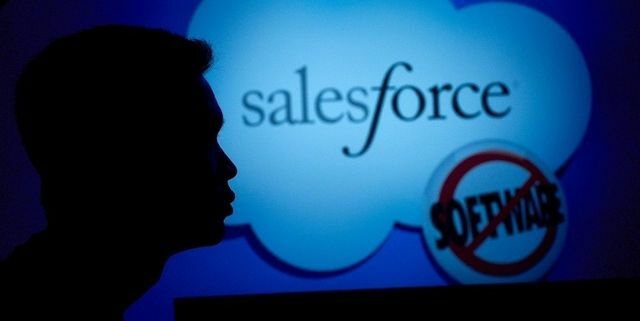 What's at stake for advisers if Salesforce is bought out? Quovo's CEO, Lowell Putnam, chimes in on the conversation that is developing among investment advisers about which CRM tool to back if Salesforce gets bought out. The choice is going to be different depending on the ultimate acquirer. Whether Salesforce's appeal to advisers rises or falls after a deal depends largely on who is sitting on the other side of the table. Among companies rumored to be interested in Salesforce are Microsoft Corp., Google Inc., IBM Corp. and Oracle Corp. Each one presents a different challenge — or opportunity — for advisers. For example, a buyout by Google or IBM would likely mean a big focus on obtaining data for the tech giants. Lowell Putnam, chief executive of Quovo, a big-data company, said Salesforce's data is its specialty. "What makes them a powerful platform is that they really are a database engine," Mr. Putnam said.